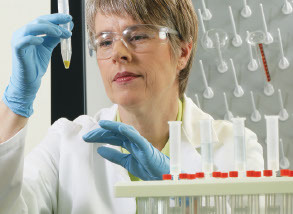 To ensure the safety and security of your valuable samples, access our Nunc and Matrix range of dense storage products. These tubes are ideal for cryostorage, biobanking, sample collection and storage. Thermo Scientific Nunc and Thermo Scientific Matrix dense storage range of products can effectively double you capacity and cut storage costs by 50%. Thermo Scientific Nunc CryoBank tubes provide superior tracking of your ultra-low temperature samples. These tubes have laser etched unique 2D codes that allow for tracking of samples and offer safe and secure storage. In addition, the micro-plate format ensures optimised freezer utilisation and allows for automated liquid handling and can be read in one pass by a Thermo Scientific barcode reader. Available in a volume range from 0.5ml to 5ml. Thermo Scientific Matrix 2D Barcoded Cryotubes offer the perfect solution in virtually any laboratory condition. The laser etched 2D barcoding enables safe, secure sample collection and storage. These tubes are available in specially designed, stackable, micro-plate footprint latch rack formats to save space in storage and on the bench top. Simple integration into an existing database or tracking system can be achieved when used in conjunction with Thermo Scientific 2D barcode readers. Available with different capping options from screw-top to septum seals to meet every laboratory requirement. The Thermo Scientific™ VisionMate™ High Speed Barcode Reader instantly decodes tube 2D barcodes and shares the data seamlessly with your LIMS or database. Rapidly reads racks of tubes in 24, 48, 96 and 384 formats without any user programming. Now with a standard linear barcode reader that attaches magnetically to the reader housing, the unit can simultaneously track racks of tubes by reading a linear barcode placed or etched on the rack side. The VisionMate High Speed reader can be integrated into your robotic platform.